Spring has officially sprung and a unique seasonal phenomenon is in full effect. The cherry blossom trees are blooming and their delicate pink petals are snowing all over the city of Vancouver. The Vancouver Cherry Blossom Festival (VCBF) was created to bring the community together in appreciation of these short-lived but breathtaking flowers. Check out our picks of fun events and activities taking place during this year’s festival, April 2-29. During blooming season, there are 10 guided walking tours that showcase specific cherry tree-lined areas of Vancouver and explore the fascinating historical background of cherry blossom trees. Check out the Blossom Map for all the cherry blossom tree hot spots around Vancouver. Cycling enthusiasts can Bike the Blossoms with a pre-mapped out route of the most magnificent cherry blossom trees in the city. The bike tour meets at John Hendry Park on Saturday, April 25 at 11am. In Japan, it is an age old custom to picnic beneath the cherry blossoms. Vancouver aims to carry on this tradition with organized picnic dates at various locations throughout the festival. Petal mats – diamond shaped mats that expand with zippers to accommodate each guest – will be on sale for each picnic. The idea behind these mats is that the more people that join the picnic, the more patterns appear, representing the falling petals of the cherry blossom trees. In need of a little lunchtime entertainment? On Thursday, April 2 at 12pm, Vancouver performance artists will showcase their talents at the Burrard Skytrain station indoor concourse. Ken Hsieh’s String Quartet Ensemble, Langley Ukulele Ensemble, electric guitar duo LOUD, and national yo-yo champion, Harrison Lee will perform underneath a canopy of cherry blossom trees. A local favourite of the VCBF is the pop up sensory projection artwork by Stuart James W. of Hfour Designs. Stuart James W. became infatuated with cherry blossoms after spending several years in Japan. He regards the short blooming timespan of the cherry blossoms as a reminder that life is short and that we should make each day count. On Friday, April 3 at 9pm, Stuart will use LED and patterned video lights to illuminate a canopy of cherry blossoms. The location is to be announced closer to the date. Are you a budding photographer? 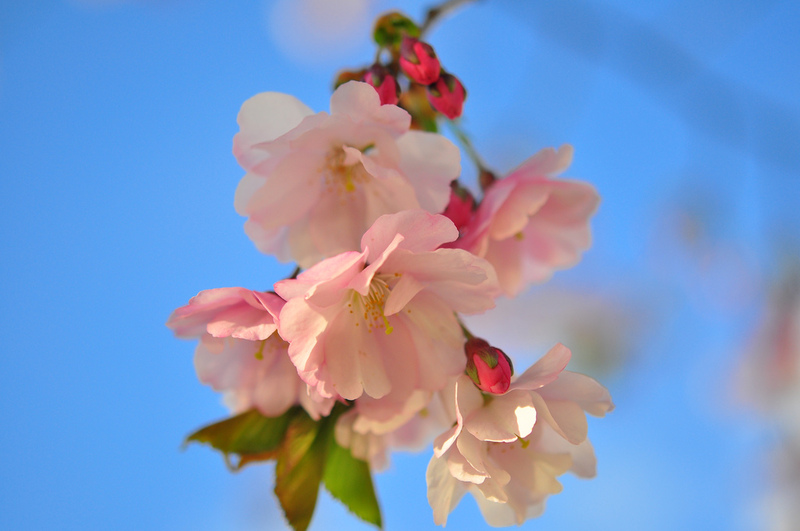 From April 2-29, snap a picture of the exquisite cherry blossoms and share on social media using the hashtags #VCBF2015 and #ALLNIPPONAIRWAYS and you could win two round trip tickets to Japan, sponsored by All Nippon Airways. Contest guidelines are yet to be released but now is the time to practice your snapshots!